MoneyHub lists the latest McDonald's coupons, voucher codes, promotions and deals for McDonald's stores New Zealand wide. Multiple options, no voucher needed. Highlights include $1 Hot Chocolate, $2 Double Choc Dessert Pie and the $20 Mates Hunger Buster. Available at participating McCafé restaurants during McCafé opening hours, for a limited time. Coffees are McCafé coffee or Hot Tea (excludes Frappés, Mochas and Chai Latte). Available at participating McCafé restaurants at a limited time. Excludes McDelivery. Download the app to either Apple or Android, answer the survey about your recent McDonald's purchase and you will get a free rewards which you can claim on your next purchase. These include free fries, frozen coke and sundae cones. There are always ways to save money when ordering McDonald's. Even if there isn't a deal above that works for you, there are other ways to save as we outline below. 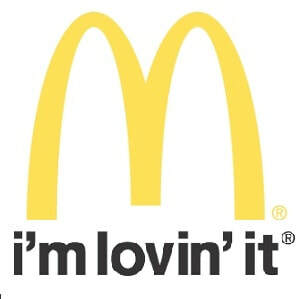 Follow McDonald's on Facebook. You’ll then receive news of McDonald's promotions, voucher and coupon codes as well as exclusive deals. Know something about McDonald's coupons we don't? Want to share it with thousands of New Zealanders? Email our coupon team now and share the love.